The Bournville Model Yacht and Power Boat Club with a little help from their friends hosted another great day of Footy racing, the weather was very kind to us providing plenty of wind, and although it was a little on the cold side their was no rain and it stayed nice & sunny throughput the day. 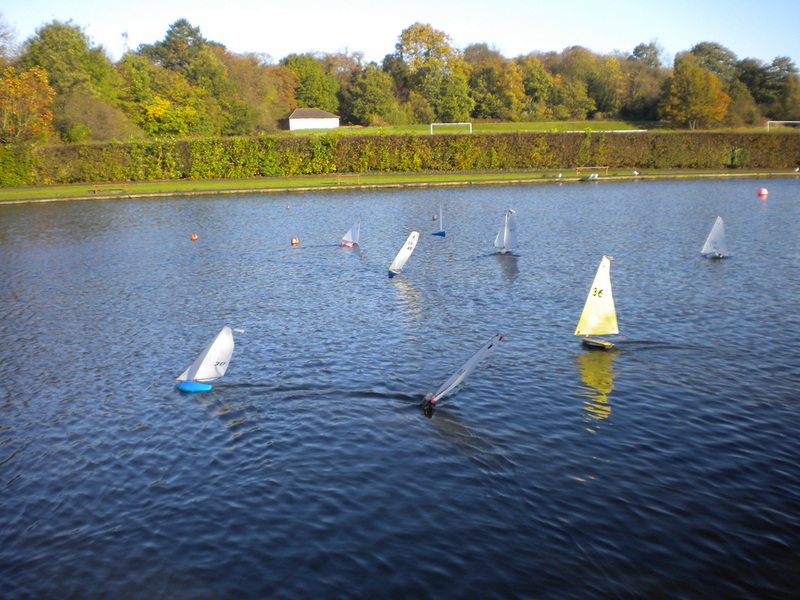 Nine skippers came to take part mostly from accross the Midland Region although one came from Cotswold MYC, the course setters ahd set and upwind down wind short course with plenty for the skippers to take into consideration. 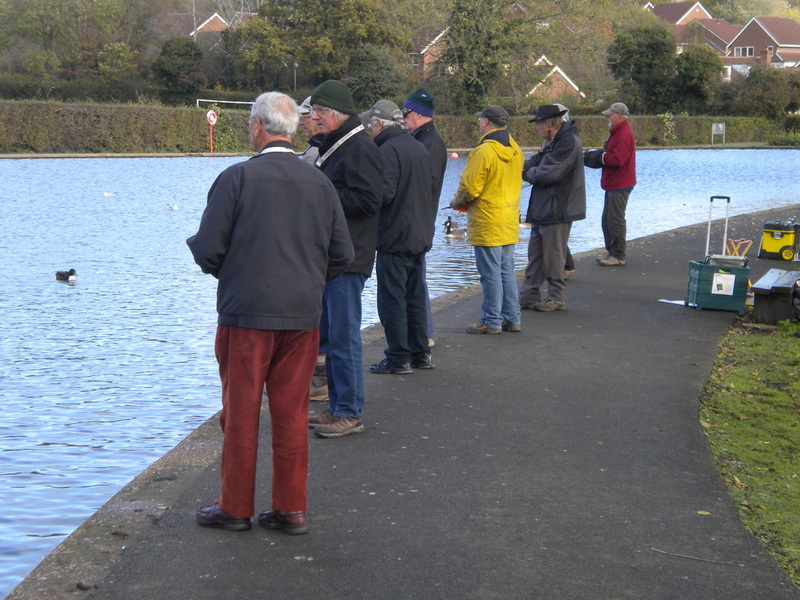 It had a longer first upwing leg rounding the first mark to port followed shortly after by the second creating a spreader, a downwind run to a get where the choices were out into the deep water away from the bank with greater wind pressure or use the slight shelter of the bank & trees although this involved an extra tack. The next rounding was back around the first mark to port back to the gate then onto the final upwind rounding at mark two. A final downwind leg to the near start buoy taken to starboard with a very tricky final upwind leg across a finish line close to the bank. This final leg creating chances for the aware skipper to make up some places. Our thanks go to Ian Cooke for his sterling services as the race officer. Of the nine skippers present it was good to see some old faces amongst them along with a couple of new ones, John Burgoine sailed particularly well given that it was his first ever footy event. Peter Jackson (30, Fat Boy Slim) finished first by virtue of a strong series of consistent results coming first or second in twelve of the sixteen races. Peter Shepherd (65, Fat Boy Slim) won eight of the races, however technical problems with batteries meant he was only able to finish second. David Wilkinson (46, Iambus 2) was rewarded for his trip finiahing third with Mike Ewart (36, 1299) this years Nov"ICE" Winner coming home fourth. Newbie skipper John Burgoine (13, 1299) came home a very creditable 5th place in his first event, and it was good to see again some of the skippers of previous seasons at this event in the form of Graham Tite (40, 1299) & Trevor Thomas (58, Slim), Robin Webb (Sui4 Slim) was struggling to get to grips with a gift from Switzerland, Phil Tylers original Slim, Sui 4. 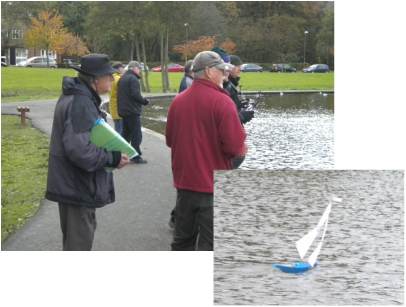 Despite a couple of technical issues surfacing Robin had a couple of good races where he brought the boat home in second place.